"Justice is Mercy, Justice is Equity, and Justice is what the Judge says it is." We can do this together … better! Happy Saturday and welcome “Renaissance Men and Women” to a Deep Dive into the colossal population shifts around the world, and what they’ll mean for future generations, economies and politics. As Renaissance men and women, we borrow from AXIOS and Bank of America the following informative discussion about population that enlarges our understanding of the World around us. 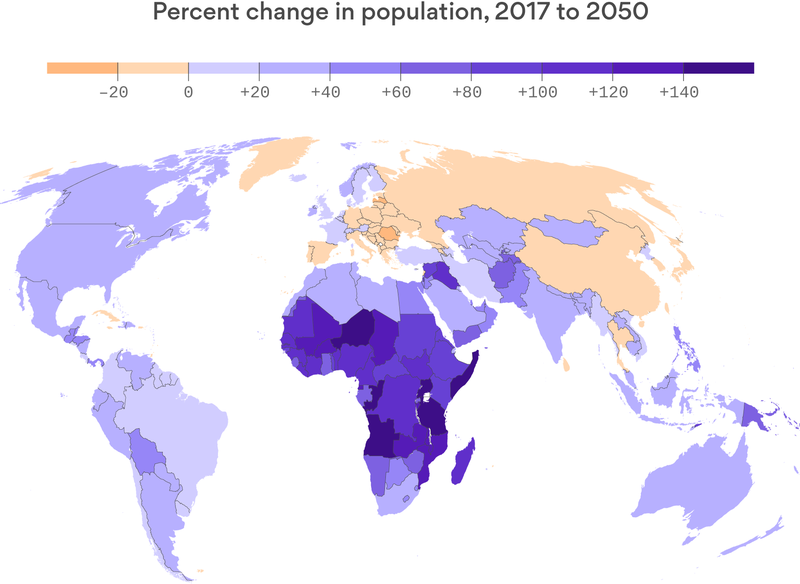 Happy Saturday and welcome to a Deep Dive into the colossal population shifts around the world, and what they’ll mean for future generations, economies and politics. We’re guided by Axios Future Editor Steve LeVine; Managing Editor Alison Snyder; reporter Stef Kight, who follows immigration and demographics; and Harry Stevens and the Axios Visuals team. Since the dawn of humans, we have had to figure out how to support a rising population. 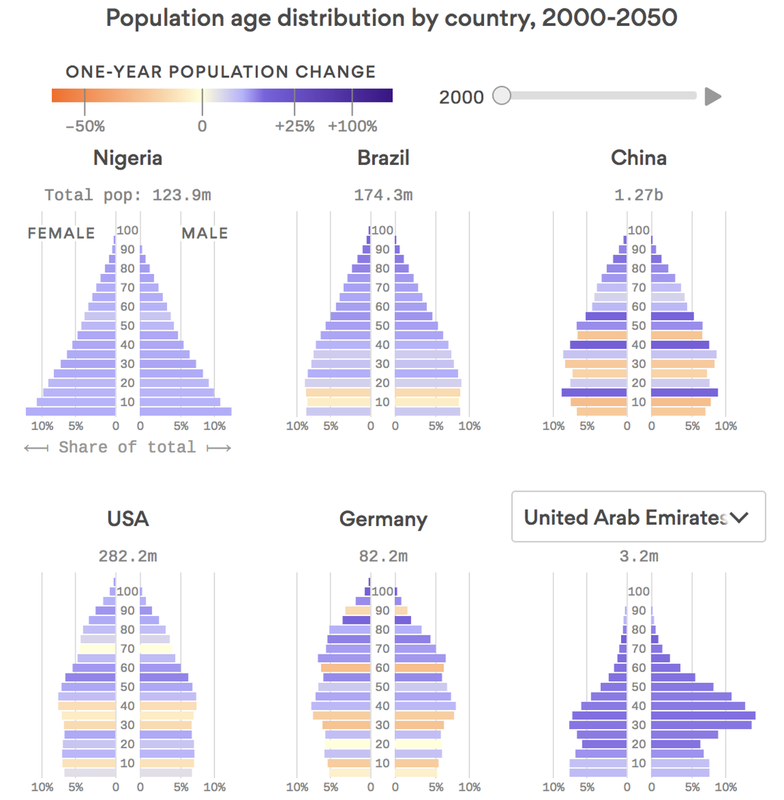 But in a momentous change, that age-old challenge is reversing: The population of most countries is shrinking — for many of them, at an alarming pace — and at the same time aging, writes Axios Future Editor Steve LeVine. Much of the world teeters on the cusp of a childless, elderly future. Loosen up currently fraught politics around migration. Or populate our countries with robot helpers. By 2100, the population of the world’s poorest countries will more than triple, from 954 million in 2015 to 3.2 billion. Minus immigration, the populations of the U.S., Japan and all of Europe are shrinking. By 2050, 48 countries or areas will have fewer people. Several will see a 15% decline, including Japan, the Balkans and the Baltics, and some much more. In 2016, the fertility rate in the United States was the lowest it has ever been, according to the Centers for Disease Control. It was 1,765 births per 1,000 population, below the replacement rate (the number needed to replace the current population, factoring in mortality) of 2,100. At the same time, there will be more old people: Forecasts include a spike in the number of people 80 and over. Global life expectancy will rise from about 70 in 2015 to 83 in 2100, according to UN figures. Except in Africa, by 2050 about a quarter of the world population will be 60 or older. At about 900 million now (about 13% of the population), their numbers will rise to about 3.2 billion in 2100. By 2080, those 65 or older will be 29.1% of the global population — and 12.7% will be 80 or over, Eurostat said. The most worrying figure: The world will not have sufficient working-age people to support the elderly. Currently, North America has just under four workers per retired person. Seven European countries have three, and Japan has just a bit more than two. By 2050, seven Asian countries, 24 European and four Latin American will fall below two workers per retired person, the U.N. says. This means “a rising fiscal burden and slower economic growth than if the population was not aging,” says Richard Jackson of the Global Aging Institute. Changing economic incentives, social expectations for women, and religious landscapes have upended the age structure of populations around the world — and we’re only seeing the beginning. 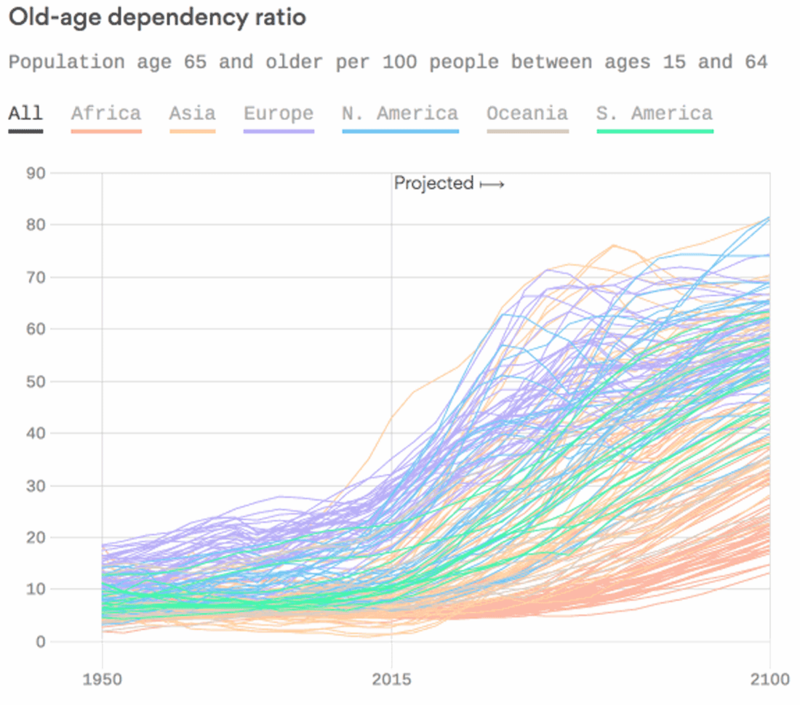 Axios’ Stef Kight reports: The developed world is having fewer babies, which means fewer working-age people to support the bulge of retiring baby boomers. Meanwhile the population of Africa is surging. Better-educated women correlate with lower fertility rates and vice versa, according to Our World in Data. In developing countries, women’s education and opportunities outside of raising a family lag behind the richer world, resulting in more women bearing children than their developed-world counterparts. What the chart above shows: Each country’s age-structure from 2000 to 2050. The bars show the percentage of the population that falls into each 5-year age group. For instance, you can see Nigeria‘s continuing baby boom in the longer bars at the base of its pyramid. China and Germany, however, have bulges in the 60-85 age ranges. The 10 fastest shrinking countries on Earth are in Eastern Europe, according to the United Nations. Japan, perhaps the country with the most often-analyzed demographic challenges, is only 11th, per Axios’ Dave Lawler. 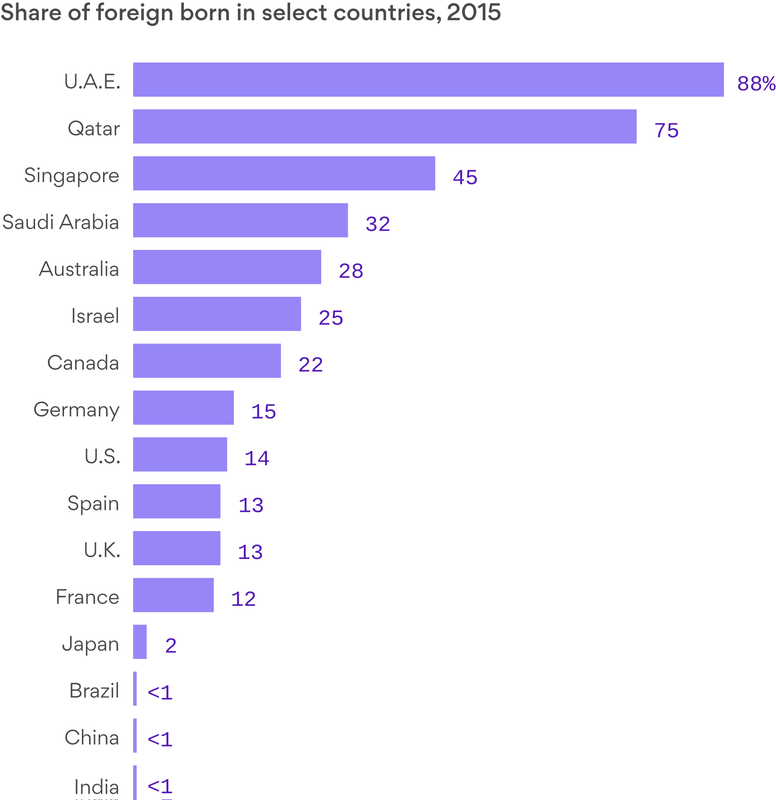 Many of those countries are struggling economically, with aging populations, a lack of skilled labor and — in some cases — restrictive immigration policies. Go deeper: Read the rest of Dave’s piece. Over 30 years of supporting Special Olympics! Read why Bank of America Vice Chairman Anne Finucane is committed to preserving that legacy—and giving people of all backgrounds and abilities access to opportunity. In 2010, the number of American workers for every recipient of Social Security fell below three for the first time. In Japan, the ratio has fallen to just two workers per retiree. Globally, the figure is expected to fall to four by 2050. Why it matters: Societies typically leverage the labor and taxes of their working-age population to support their aged through pension and health programs. But as populations age and the number of workers shrink, governments will have to increase taxes, retirement ages, or both. Or services will have to be cut. Robust immigration has buoyed the populations of the U.S., U.K. and other developed nations, keeping them from shrinking. A number of countries also rely on migrants to support the weight of their economy, Stef reports. Be smart: Demographers report a link between falling fertility rates and the incidence of populism, which in many countries has coincided with strong anti-migrant resistance. But immigration is one of the few solutions to aging, decreasing populations. The U.S.: The proportion of immigrants (13.5%) is the highest since 1970, nearing the 1890 record of 14.8%, according to the Migration Policy Institute. But if the expected number of children per woman of childbearing age drops from 1.76 to 1.5 or 1 — well below the replacement rate of 2.1 — no amount of immigration can compensate, experts say. Japan: Immigrants make up only 1.95% of the population, with fertility rates declining and immigration highly unpopular. Its foreign-born population has grown by 40% just since 2013, according to the Migration Policy Institute. But that’s still far from the 10% share of the population needed to halt shrinkage. Germany has a lower fertility rate than the U.S. or U.K. The country has seen a surge of Syrian immigrants, but anti-migrant politics have followed, threatening Chancellor Angela Merkel’s hold on power. In China, population growth and fertility rates have fallen significantly since the 1980s — in large part due to its birth limits, which has left the country with an aging population, a shortage of working-age citizens, and millions more men than women. China is now considering ending its birth limits and seeking to attract some high-talent immigrants. 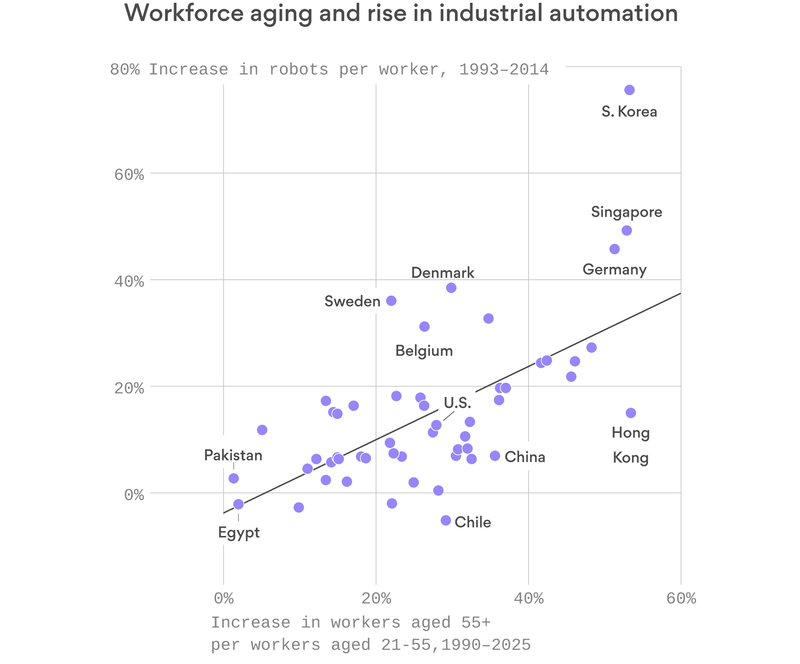 Germany, Japan and South Korea, all of them aging rapidly, are seeing a comparatively fast rise in the use of industrial robots and automation. The U.S. and U.K. are “lagging behind in robotics because they are not aging as rapidly,” economists Daron Acemoglu and Pascual Restrepo write in a recent National Bureau of Economic Research working paper. Japan had 14.20 industrial robots per 1,000 manufacturing workers in 2014, versus 9.14 in the U.S.
Worldwide, there were an average of 74 industrial robots installed per 10,000 manufacturing employees in 2016, a jump from 66 the year before, according to a February report from the International Federation of Robotics. 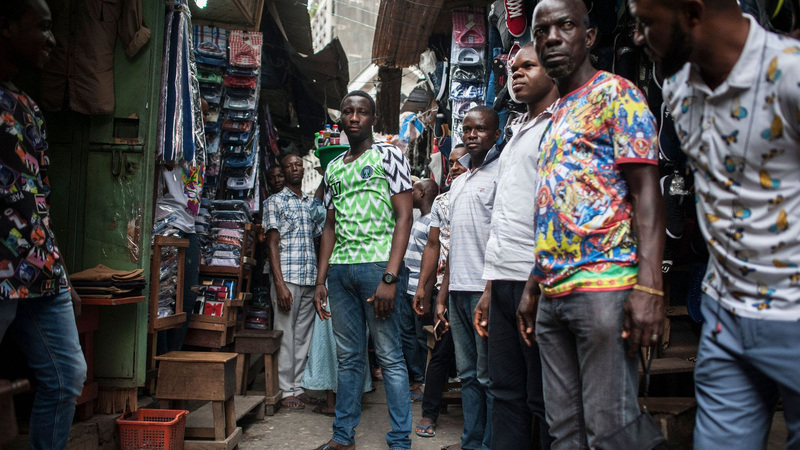 Nigeria is on track to have the third-highest population in the world, behind only India and China, according to the U.N., a change that could reverberate globally since on its current trajectory the country is likely to remain poor, Stef reports. Why it matters: With more people will come more health risks, a need for more food from already-stressed agricultural land — and the potential for global instability as some Nigerians along with other Africans seek to migrate for a better life. Nigeria is expected to surpass the U.S. population by 2050 and make up 39% of the global population by 2100. Already, Nigeria has the second-highest number of people living with HIV and, when combined with the Democratic Republic of Congo, accounts for more than 35% of the world’s malaria deaths, according to USAID. This year there has been a record-breaking outbreak of Lassa Fever, The Atlantic reports. If fertility rates could be reduced, it could help boost Africa’s economy, with fewer children to care for and more workers to contribute. Such a “demographic dividend” helped fuel the economic expansion of the East Asian “Tigers” between 1965 and 1990. Japan is in a population shrinkage crisis like no other developed nation: Its numbers are plummeting, though by how much is disputed, Steve writes. The optimistic projection is by the U.N., which says that the number of Japanese will fall by about a third by the end of the century, to about 85 million. More pessimistically, Japan’s own National Institute of Population and Social Security Research projects a population under 50 million by 2100. Whichever is correct, Japan is one of the planet’s cases of extreme demographic change, shrinking and growing old at a greater pace than anyone. One sign is the rise of centenarians: The Japanese are the oldest people on the planet, with a median age of 46.3 in 2015. 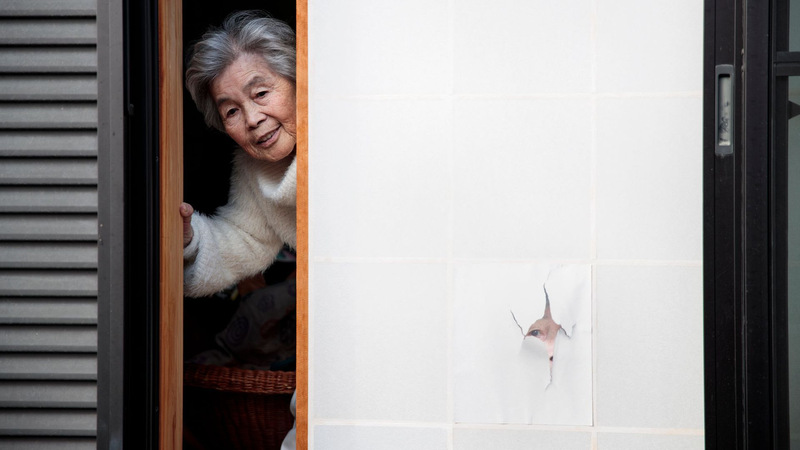 More than 25% of Japan’s population is over 65. But it also has the highest ratio of centenarians — 4.8 per 100,000, for a total of 67,824 in 2017, according to the UN. In 2050, Japan will have 41.1 per 10,000 people, compared with 9.7 in the U.S. and 4.6 in China. While we are aging and shrinking, we also are getting healthier. The average number of years babies around the world are expected to live without serious health issues increased by five years between 2000 and 2016, Stef writes. 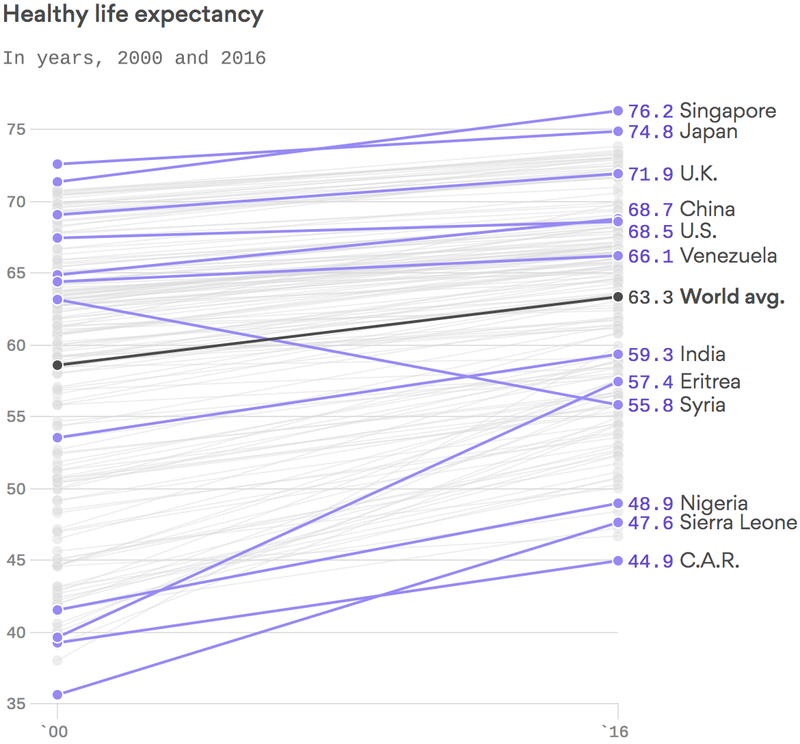 China surpassed the U.S. for healthy life expectancy for the first time in 2016. One reason is that obesity and drug use are less common in China, Stef writes. Japan and Singapore have some of the lowest fertility rates. But they are also some of the healthiest, longest-living people in the world. One reason is their diet. “Compared with other developed nations, Japanese people on average eat fewer calories per day, and in a healthier pattern,” Naomi Moriyama, author of Secrets of the World’s Healthiest Children, told the “Today” show. Go deeper: Explore the interactive graphic. The health trend means people will live routinely to 100 in the coming decades, and as long as 150 years, scientists say. 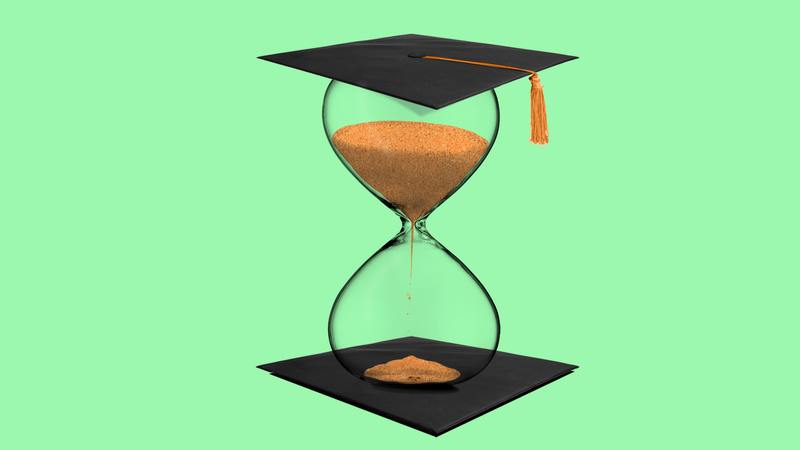 That suggests a much longer working life, possibly involving serial careers, and lasting well into our 70s, 80s, and even 100, say researchers with Pearson and Oxford University. Steve reports: Greater longevity is part of a debate over Earth’s future population in which a small, contrarian group of researchers *is* contesting the consensus forecast of more than 11 billion humans by the end of the century. In Vienna, the International Institute for Applied Systems Analysis agrees that the population will balloon to 9.5 billion people by 2070, but says it will peak there and decline below 9 billion by the end of the century. That is 2.3 billion fewer than the consensus U.N.-produced forecast. And if it’s right, the primary economic narrative becomes less one of resource management, and instead population shrinkage. Go deeper: Read more about the future 100-year career; and the possible age of peak human. Thanks for reading. Sign up for here for Steve’s newsletter, and more. And let us know what you think: mike@axios.com or steve@axios.com. Congratulations to the athletes who participated in the 2018 Special Olympics USA Games! Learn how Bank of America’s 30-year partnership with Special Olympics has helped the company grow and succeed. You received this email because you signed up for newsletters from Axios. Change your preferences or unsubscribe here. Was this email forwarded to you? Sign up now to get Axios in your inbox. And make sure you subscribe to Mike’s afternoon wrap up, Axios PM. Every time we encounter political “Road Kill,” we stack it up, sort through it looking for the smoking guns and report the findings to our followers. In order to maintain and upgrade the Buzzard’s Blog, we are encouraging regular donations beginning with any amount. This is a labor of love. No money ends up in anyone’s pocket.